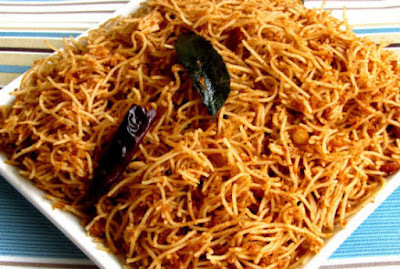 Idiyappam(semige) recipe is a healthy and a rich cuisine, which consists of nutritional values such as carbohydrates, proteins and fats.It is a low calorie food.It is easily digestable.It is a staple food in southern parts of india.We can make lots of varieties with plain sevai.One such distinct variety is chintapandu sevai(Tamarind nool puttu). 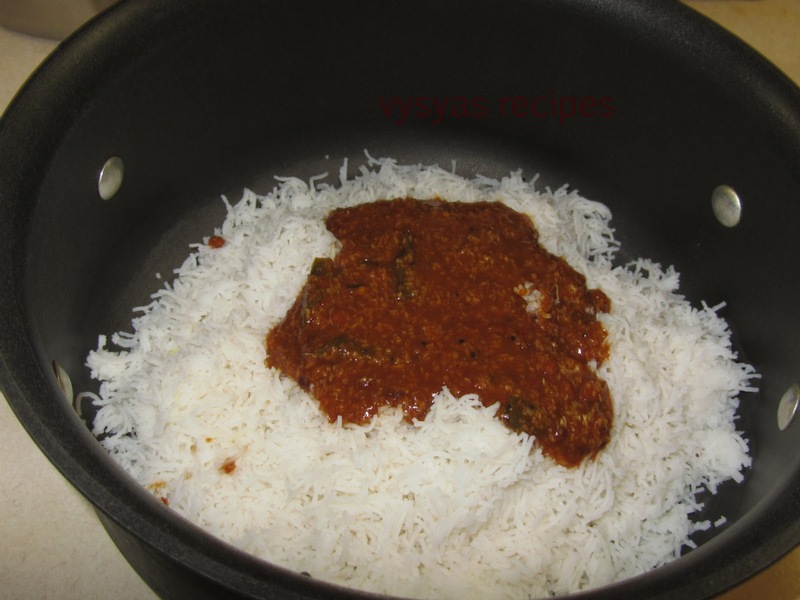 Idiyappam/Instant sevai - 3 cups. Soak the tamarind in 1/2 cup of water, for half an hour in water to prepare the extract,then throw the pulp and retain the water. (as you prepare tamarind extract). Heat the oil, add mustard when it pops, add urad dal,chana dal,red chillies and curry leaves. When dals turns golden brown colour, add tamarind extract, add chilli powder,turmeric,idli podi, salt,coconut, jaggery.stir well. Add 2 tbsp of water and allow it, to boil till the raw smell goes, and it gets the consistency like thick sambar. 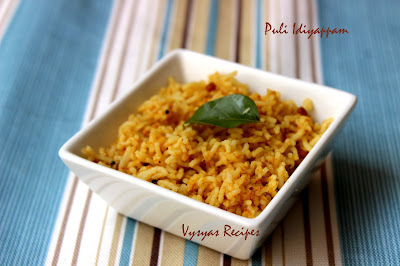 (or pulikachal you prepare for rice). Allow it to cool down.Now pulikachal is ready. Take the mixing bowl, tear the idiyappam gently add needed pulichal , how much ever you want, according to your taste.mix well. garnish with fresh cilantro. 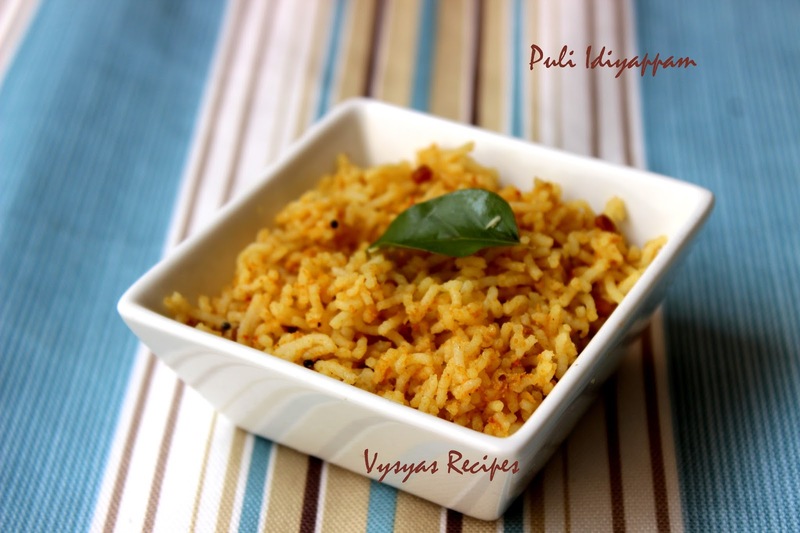 let it sit aside for 15 to 20 min.Then serve it.Retain the remaining pulikachal for later use.